This fine, dedicated teacher is similar to many other educators. They monitor students’ progress with traditional tests, quizzes, homework completion or in-class assignments. They record scores for work completed in grade books or on computerized grading programs. A student’s ultimate grade is based primarily on the student’s completion of assigned work on varied and assorted work samples, and then a final grade is reached by averaging all these grades together. Many of today’s educators follow traditional grading practices even though they are required to base their instruction on the standards for their subject or grade level. If the goal of today’s educational structure is to determine when (and if) students have met course standards, should we not be keeping achievement records that match the standards we are expected to teach instead of records that are labeled test, homework, book report, class work, quiz, project, presentation or class participation? Making the transition from a more traditional grading approach to determining a student’s grade to a standards-based practice can be smooth and logical for some educators and complex and confusing for others. Whatever grading practices teachers and districts now use, it is time for all of us to learn as much as possible about standards-based grading. To better understand the logic and mechanics of standards-based grading, it is necessary to investigate the practice in depth and from different perspectives. 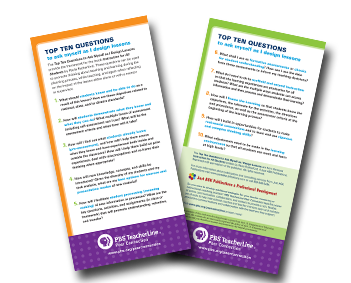 Below you will see a series of questions related to standards-based grading with responses that should add to a deeper understanding of the ins and outs of the topic, and help educators make a more informed decision about this important subject. What is the purpose of standards-based grading? Most states and school districts have published content standards that teachers are expected to teach in their courses or at their grade levels. The purpose of standards-based grading is to align grading practices with the content standards by more accurately measuring and reporting students’ proficiency in meeting those standards. Why is standards-based grading important and why now? Vital components of the standards-based reform movement are clear measurable course or grade level outcomes and accurate measures to determine where each student stands in relation to the standards. With the adoption and adherence to standards-based learning, it can be easily and readily assumed that all teachers link their planning and lesson implementation to the identified standards. And yet, in some schools, there still remains a disconnect between the teaching of required standards and how student mastery of these standards is determined. Many teachers still follow more established grading practices, and, in fact, there is little clear articulation between the grades students receive and the content standards which are taught. Some educational writers have even surmised that our current grading practices lack real meaning and reported achievement data is inconsistent, imprecise, and as Robert Marzano has concluded, “almost meaningless.” Advocates of standards-based grading strongly believe that we should not hold fast to an outdated system that no longer makes sense in the current educational climate. Furthermore, proponents of standards-based grading believe that we must challenge the status quo and move to a system that is sensible, realistic, and up-to-date. How does standards-based grading differ from more conventional grading approaches? In a traditional grade book, one usually sees student names listed down the left side of the page and a variety of headings across the top of each page. The titles across the top of the page might include descriptors such as chapter test, homework, pop quiz, class participation, extra credit, unit test, and in some cases, student behavior. The scores or grades for each of these designations may or may not be clearly and precisely linked to the standard which was addressed. In the best case scenario, the teacher using the traditional approach had made sure to connect the assessment instrument to the standards the students were expected to learn, while in the worst case scenario, there may be only a loose or fuzzy link to the standards, connections that are almost accidental rather than deliberate, or no connection at all. What are some additional drawbacks associated with the more customary grading approaches? As educator and writer Ken O’Connor has pointed out, the essential question to ask ourselves in relation to grading is, “How confident are you that the grades students receive in your school are consistent, accurate, meaningful, and supportive of learning?” With the determination of grades in some locations being wide and varied, there is little or no evidence that there is one, unified system for determining and reporting student grades. Our current system of determining and reporting student achievement is fraught with practices that are often subjective, unclear, inconsistent, and, in extreme cases, unfair. One teacher’s “A” may be derived using a completely different set of criteria than the teacher next door. Moreover, another teacher’s “F” grade may be determined based on limited or skewed data, criteria not connected to standards, or even a student’s lack of compliance to classroom rules. Many grades are determined using what educational writers have called “inappropriate number crunching,” including the averaging of grades. In his appraisal of this system of grading, assessment guru Thomas Guskey has written, “Averaging falls far short of providing an accurate description of what students have learned. If the purpose of grading and reporting is to provide an accurate description of what students have learned, then averaging must be considered inappropriate.” Further, the case has been repeatedly made that the use of zeroes in computing a grade is a practice which must be eliminated entirely. Its use is patently unfair and results in a distorted conclusion about what a student may have learned. Grading by standards requires the teacher to know where their students are on the learning continuum and thus, be able to determine how to address individual student needs. Some students fail assessments early in the unit and then give up; with standards-based grading, the door remains open to achieving the standards. Standards-based grading helps teachers work with individual students to create timelines to complete missed work and help students develop better work habits; the alternative is for the teacher to simply record the poor grade and it becomes out of sight, out of mind for both teacher and student. The standards-based grading approach can change the complexion of at-home conversations between parent and child from, “Why didn’t you finish your packet? (worksheet),” “Did you make up that quiz you missed?” and “Have you finished your book report?” to “Tell me your understanding of this standard,” “How does your teacher connect your in-class work to this unit’s objectives?” or “What more do you need to do to achieve this benchmark?” Some parents have also reported that this method of grading is more aligned with job evaluations in the workplace. Many students have no idea how a teacher goes about creating a formative or summative assessment instrument. A teacher can explain the reasoning and process behind creating a standards-based assessment and then allow students to work with peers to collaboratively develop assessment items based on the standards currently being studied. During the planning process, the teacher can begin by creating essential questions for the upcoming unit. These questions can be posted in a prominent location in the classroom and as the unit unfolds, the teacher can connect the standards being taught to these big picture questions. As one Florida school document states, “Grading systems are intended to be fair, useful, informative, timely, and influential so that the result can be used with confidence and communicated effectively to students, parents, guardians, and other stakeholders.” A standards-based system is much more likely to satisfy this intention. What adjustments must a teacher make in moving to standards-based grading from a more traditional approach? The biggest adjustment perhaps is mental, i.e., convincing oneself that standards-based grading is a meaningful and sensible way to monitor and report student achievement. Some teachers view their assessment practices as “sacred ground” that should never be tinkered with or abandoned. It is important for teachers who may be resistant to change to ask themselves whether they are locked into their current practice because it is comparatively easy and convenient for them rather than moving to procedures which are a better match to today’s standards-based classroom. Another major adjustment that teachers have to make is how to record student learning. As Marzano and Kendall have pointed out, “The use of columns in a grade book to represent standards instead of assignments, tests and activities is a major shift in thinking.” If the assessment addresses multiple standards, the teacher may record more than one entry in the grade book – one for each standard being assessed. A grade book page, therefore, would look very different from the traditional page. Some students might have indicators showing that they have successfully learned the required standards while other students will have different designations showing where they are in the process of mastering the standards for the grading period. Teachers who have moved to the standards-based grading approach use a wide variety of assessment tools to determine when students have reached standards. Traditional assessment methods do not need to be set aside if they are the most valid measure of the standards and essential understandings being addressed. Additionally, teachers may use portfolios, learning contracts, and conversations with students as sources of achievement data. Whatever assessment tools are selected, an essential consideration in the use of a standards-based approach to grading is ensuring that our assignments and assessments are valid, that is, they measure what they are intended to measure. Paula Rutherford says, “When we design assignments and assessments, we must formulate tasks and questions that are clearly aligned with the knowledge, skills, and levels of thinking required by the learning standards.” Teachers have found that multiple standards can be addressed in rigorous and relevant performance assessment tasks that include oral presentations or projects. Rubrics and exemplars presented to students prior to the start of tasks not only promote more objective assessments of student learning, they increase the likelihood of students success. What are some additional considerations, practices, or shifts in thinking that teachers must take into account as their grading practices become more standards-based? Educators who have followed the standards-based grading practice for considerable time have found that they must have flexible due dates for the submission of student work. Their priority has changed from having stringent due dates for all students to having work turned in by students at different times; in short, they have learned that it is better to have flexible due dates while demanding that the quality of work remains constant. They have found that when it is time to report interim grades, they only compute a grade for completed work; unfinished work is tallied for the next reporting period. There are going to be some students who are not in the habit of completing their work in a timely manner. However, teachers report that they are finding that these students are more likely to finish necessary work than in the past when a student simply chalked the missed work up to a bygone conclusion. Some people argue that giving student’s flexibility reinforces bad habits that will carry over into the workplace. Whereas an employer has the authority to dismiss a recalcitrant worker, we cannot fire our students. We must continue to reinforce the importance of job completion, solid work habits, and consistent adherence to a goal. Rather than relying on the mean (averaging) to determine a student’s interim or final grade, some teachers are emphasizing the most recent achievement data and not accumulated evidence throughout an entire marking period. As author Rick Wormeli has written, “It turns out that grading on a trend has a higher correlation with outside classroom testing, so if we want our grades to live up to what we claim they report, we avoid averaging, and grade on the pattern of performance over time.” Many teachers also believe that learning is developmental and will increase over time with teacher feedback and repeated opportunities to reach mastery. As well, looking at achievement over a marking period diminishes the negative impact of a few bad grades and instead rewards hard work and persistence. What are the steps a teacher should take as they move to standards-based grading? Any shift in thinking starts with an open mind coupled with honest reflection and dialogue. Thus, the logical place to begin is to ask oneself if the current practice is a true match for today’s standards-based, educational setting. After some personal analysis, the shift then moves to group conversations addressing the pros and cons of the new ideas. Instead of a monumental conversion to a new practice, the teacher can begin by assessing selected assignments by standard instead of one holistic grade. Another important step to take is to be honest and public with students about the changes in methodology and letting the students know that it will be a growth experience for them as well as for the teacher. Remind students that all of us are learners. Finally, when teachers begin adapting to the new practice and continue to share their experiences with fellow educators, it opens the door to even more professional conversations including successful intervention practices and productive use of formative assessment data. True professionals do not limit their thinking by adhering to the status quo; they undertake new thinking, experimentation, and research on a regular basis. Likewise, they investigate new findings and make changes that advance the profession. The evidence to change our grading and assessment conventions is all around us in research, educational literature, workshops, webinars, and conference presentations. For us to turn a blind eye to this new way of thinking limits our ability to measure student achievement as well as putting into practice effective ways to motivate and encourage our students to perform at higher levels and increase their learning. We must continue to ask ourselves: Is learning the goal or is grading the goal? Should we be looking for and emphasizing student growth and not simply assignment completion? And finally, shouldn’t we be teaching our students what true quality looks like? The time has come to move our thinking along. Oliver, Bruce. “Making the Case for Standards-Based Grading” Just for the ASKing! January 2011. Reproduced with permission of Just ASK Publications & Professional Development (Just ASK). © 2011 Just ASK. All rights reserved. Available at www.justaskpublications.com.